Finally. After months of wishing and countless times watching the trailer, I at last can say that I've read Edenbrooke, Julianne Donaldson's amazing debut novel. Though classified as romance--not as Christian romance--it may surprise the average romantic reader to find this just as clean, possibly cleaner, than the popular Christian romances of today. Its simple plot of "romance and intrigue" captivated me, making it difficult to put down. Of course, I would never have been so pleased with it if not for Donaldson's well-flowing writing style and her memorable characters. Only a few weak sentences and repetitions mar Julianne's writing, and her decision to tell Edenbrooke from Marianne Daventry's first-person perspective made the story all the more compelling. It also helps that Philip Wyndham is the epitome of a dashing hero and the kind of man modern-day girls most often want to marry--breathtakingly handsome, teasing, and unshakably moral. While I am surprised that a relatively simple plot interested me so much, I think the book may have been improved by lengthening the time span, making the climactic moments a little more lifelike, and getting to know Philip better. Overall, it's a sweet story sure to enamor any hopeless romantic. I do feel like I need to list some objectionable content. Marianne's beautiful sister, Cecily, is an in-the-pursuit-of-pleasure-only young lady, and is more than once implied to have acted immorally with her cousin Mr. Kellet (as well as possibly with others once upon a time). (As a Regency romance, recall that cousins married one another quite often. <<That is not said to condone Cecily's actions.) I feel like I should mention that the ending kiss(es) between Marianne and her fiance might be an objection to some. 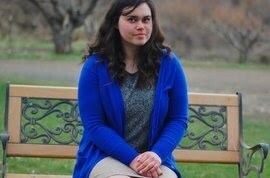 Throughout Cecily's sinful escapades, though, Marianne remains refreshingly pure. 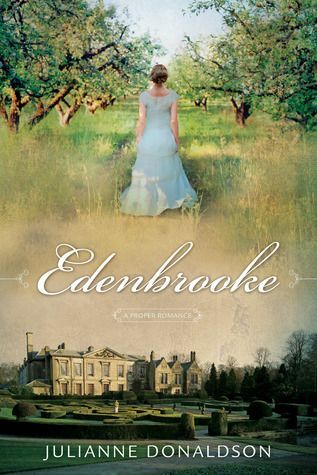 Ever read Edenbrooke? Tell me what you thought of it! Someday I am going to read this one! ;) Sounds great, Hannah. It was great :) Have fun when you get to it! I recently read it, and I loved it. What similar books would you recommend? Have you read Interrupted or Chasing Jupiter by Rachel Coker? I haven't read Interrupted. Chasing Jupiter is sitting in my room waiting to be read. :D I guess I'm going to go read it!